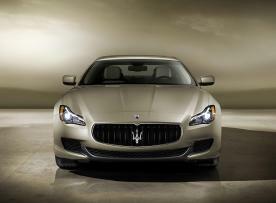 The interior of the Maserati Quattroporte S* allows occupants the extravagance of a luxurious drive. The dashboard is set out on three levels and is dominated by a broad centre section that adds a renewed sense of space and lightness. 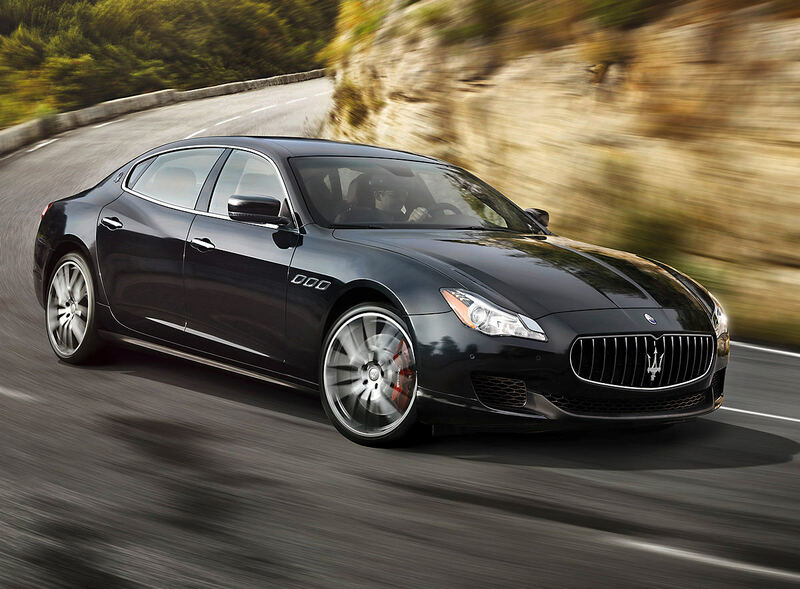 In the middle of the dashboard is the large Maserati Touch Control touchscreen that can be used to manage the car’s many entertainment and information systems. 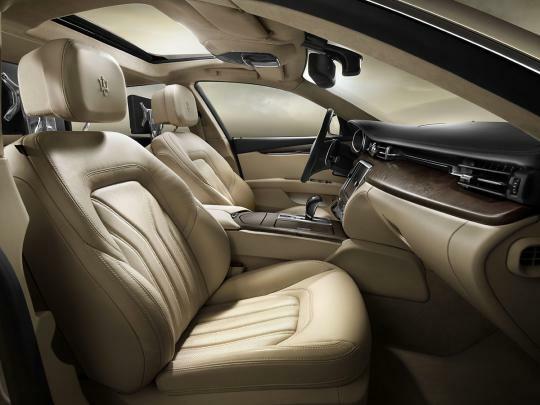 The Quattroporte S*’s Poltrona Frau® leather finish has been crafted using the finest Italian traditions and results in an interior that is both comfortable and hardwearing. 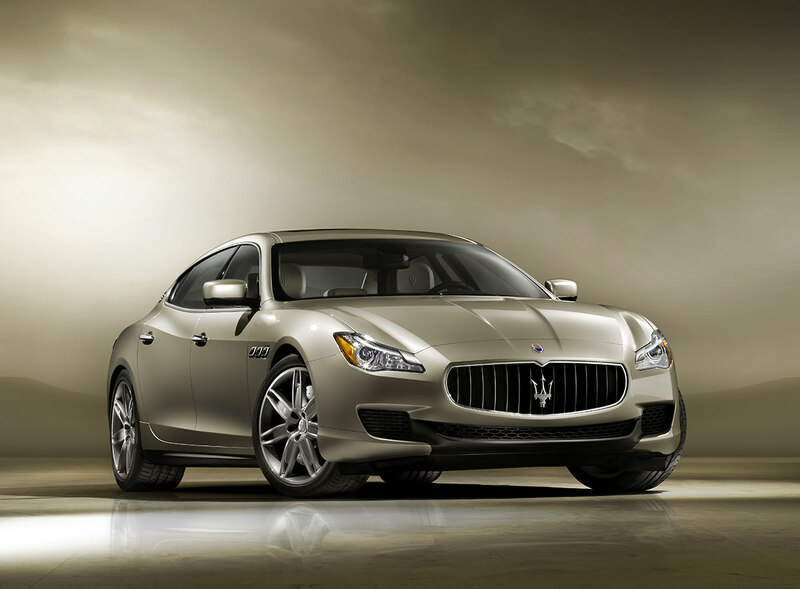 In the Quattroporte S, the standard finish to the centre of the dashboard, the centre tunnel and door inserts is elegant briarwood. This prestigious element features open pores and is recognisable for its knots and veining, much sought-after and exclusive characteristics. Sitting either side of the grille, the front light assemblies stand out with their striking modern design and render the car even more captivating. The light cluster includes LED day running lights: a stylish and functional feature that makes the car instantly recognisable in any conditions. The light cluster’s vertical sweep merges smoothly with the car’s flanks. 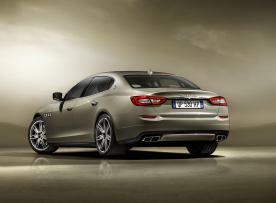 The Maserati Quattroporte S*’s innate elegance is enhanced with aesthetic touches that make it unique. The twin steel oval tailpipes provide muscle to the back end, add to the car’s dashing poise and contrast with the rectangular look of the LED light clusters. 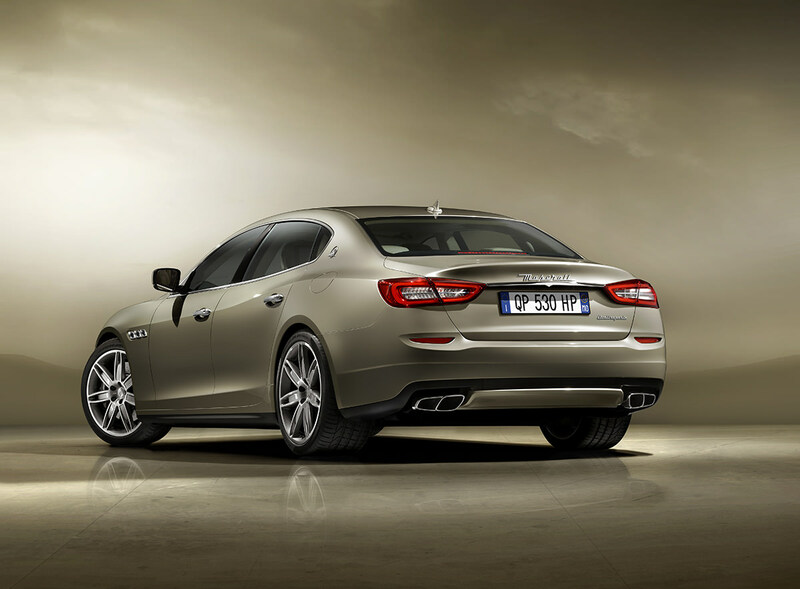 The 3-litre Twin Turbo V6 fitted to the Quattroporte S* has the Quattroporte GTS V8’s sporty edge; the two units also share most of their components. 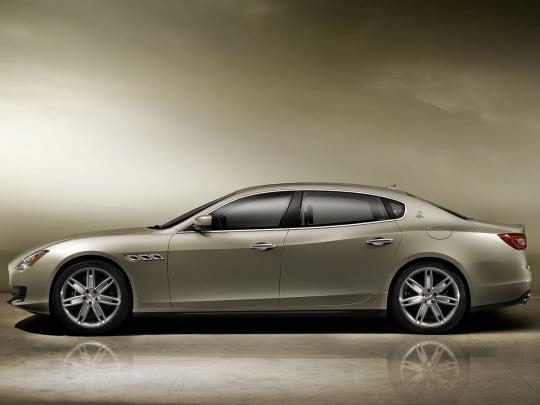 The bore spec and combustion chamber design are unchanged, as is the technology that controls the valves and direct injection. These refined solutions allow the V6 to develop 301kW (410 HP) at 5500 rpm. The versatile V6 unit that equips the Quattroporte S* thrills whenever the driver steps on the accelerator, with the power coming through loud and clear. 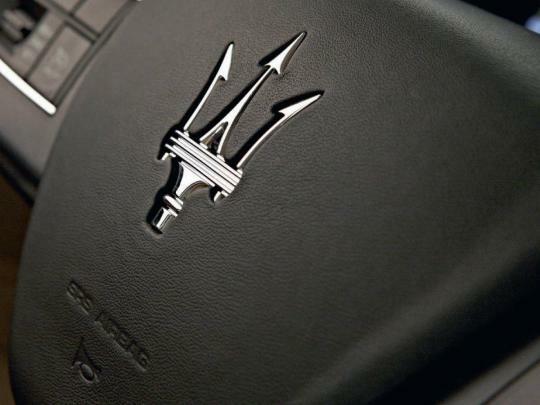 In Sport mode, peak torque is 550 Nm and is reached at just 1750 rpm. 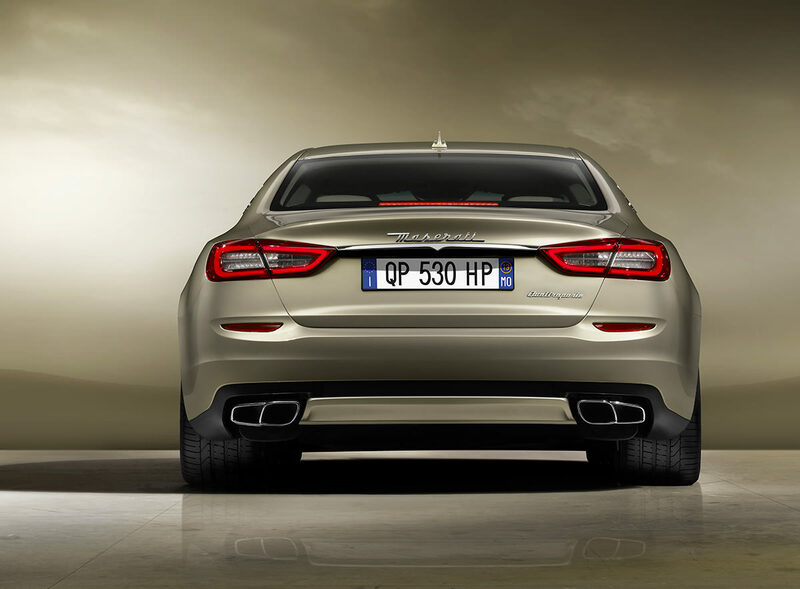 These extraordinary figures see the Quattroporte S* sprint to 100 km/h (0-62 mph), from a standing start, in only 5.1 seconds (4.9 on the Q4 version). It boasts a top speed of 285 km/h (177mph) (283km/h / 175mph for the Q4).